Friday Reads: Us Savages in New Orleans have Done Been Discovered. I’ve noticed a lot of animosity in the blogosphere as of late regarding the New York Times’ treatment of New Orleans as some kind of sub-cultural/human curiosity sideshow (where kale is nowhere to be found; what an atrocity). Sky Dancing Blog has some choice words (and excellent, eclectic sourcing) regarding this surreal cultural condescension. 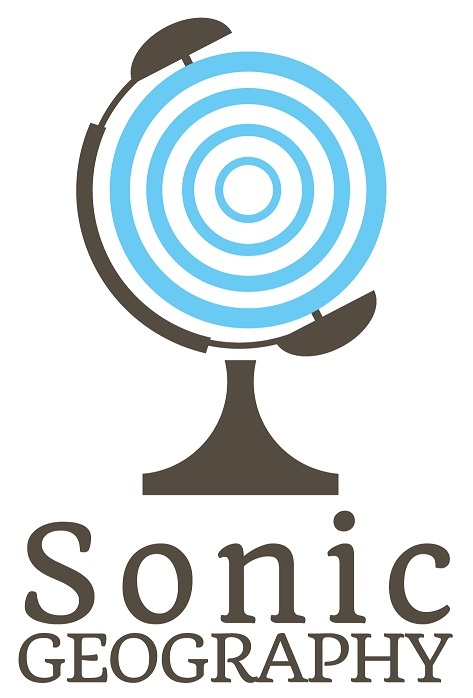 Click the link above and get up to speed. New Orleans is one city I’ve loved deeply since the first time I visited it in 1997, and perhaps my fascination with her, outside of the music and brain-splittingly good food, has been rooted in its purported lack of shine and grittiness. Also, the whole “no other place existing like it in the world” thing. To use a lazy epithet, what you see is what you get. This leads us down a major philosophical conundrum when we think about the “livable city:” What happens when the continued urbanization of America (and the entire world, for that matter) produces not necessarily standards but ways of living that hollow out a city’s underlying character? Is this just capitalism running amok and bleeding into a concept not unlike the McDonaldization of the American city? I’m no expert, considering how I’ve never lived in Brooklyn nor New Orleans (and would be hard-pressed to afford visiting either at the moment), but isn’t there something remarkable enough about a city that’s so notoriously blighted and corrupt yet lovable that you wouldn’t want to change it? Here’s the rub: this debate has inevitably overgeneralized New Orleans and Brooklyn. Both sides (but mainly the outsider accounts, not to split hairs) treat the former as if it is not a massive unrefined agglomeration of moving/mutating parts, but one homogeneous entity. Perhaps this was the dream of urban re-developers at one point fifty years ago, but that pursuit was abandoned by all but the most die-hard (and loony) urban theorists decades ago. For all the grief that gentrifiers get, you would imagine that somebody would clue them into Jane Jacobs’ (yet-to-be-disproven) theory of the necessary multiple uses of city blocks. The reason their new neighborhood is so great is exactly because you have new buildings next to the old, the scabs next to the sutures. I am not claiming any ownership of either city; both New Orleans and Brooklyn represent seemingly divergent ends of the paradigm of urban culture in the United States, and both deserve praise for various facets of their existence, but to try to move one towards the other would be frightening. That being said, I think the most interesting aspect of this whole outrage has been this near-tribal trumpeting of ownership and provincialism (particularly considering how the writer of the blog I linked here admits to not being a NOLA native). Considering how much I’ve taken a shine to Knoxville (for all of its almost-cartoonish shortcomings), I am learning firsthand about what it’s like to adopt and defend an underdog of an American city. I hope you’ve enjoyed this rant, if it even qualifies as one. If it doesn’t, I have one coming up soon about chili. Enjoy your week, everybody. 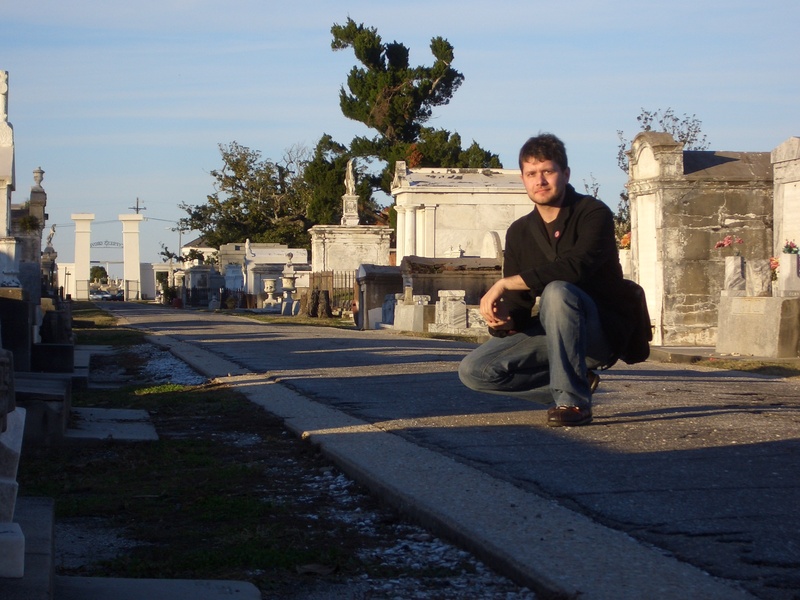 Me at Metairie Cemetery, 2008.